Metallica guitarist Kirk Hammett is a genuine monster of rock, but his collection of monster memorabilia also pretty much rocks. 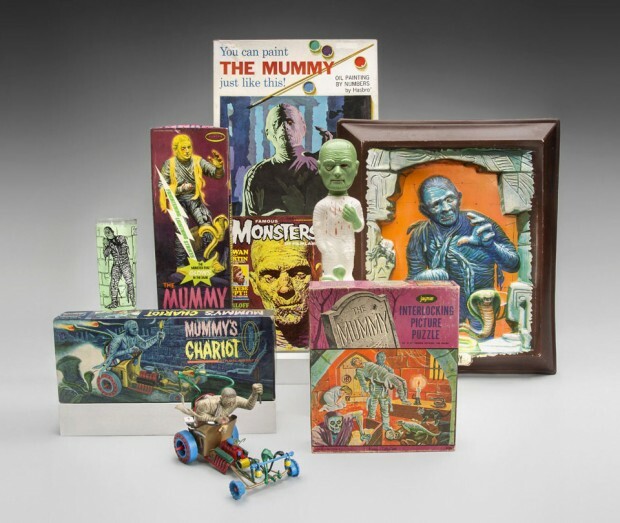 And many of the monstrous items he owns will be on view in the San Francisco Airport’s museum through November of this year in an exhibit titled, Classic Monsters: The Kirk Hammett Collection. 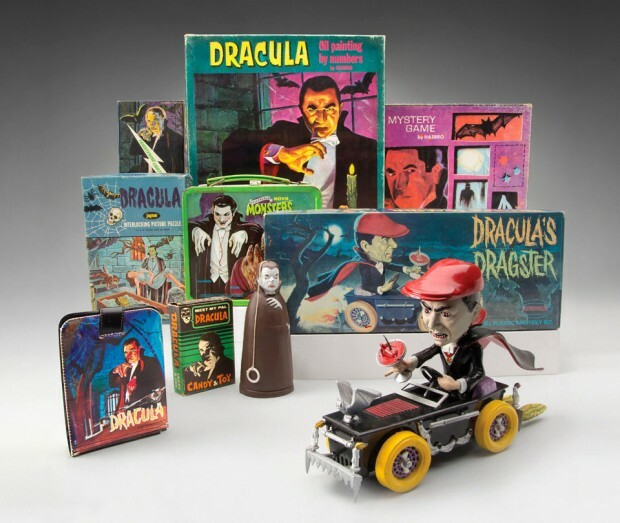 So, if you’re in San Fran’s airport with some time to kill, what kinds of things will you find in this exhibition? First off, lots of toys. 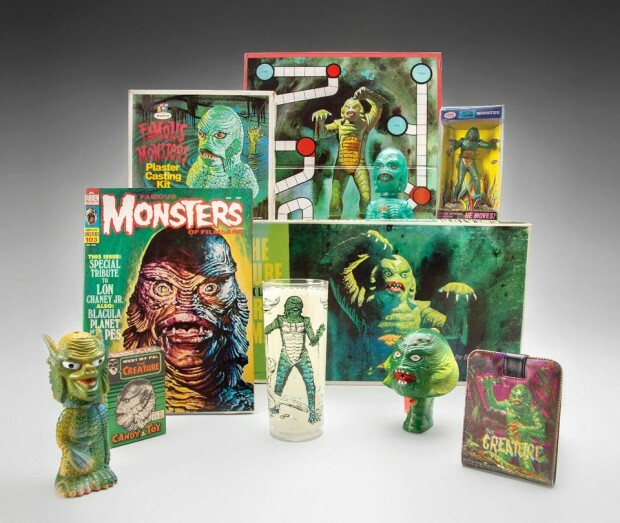 Hammett has amassed a mass of cool monster collectibles, including masks, action figures and puzzles for ghouls ranging from Frankenstein, The Mummy, The Wolf Man and Dracula. 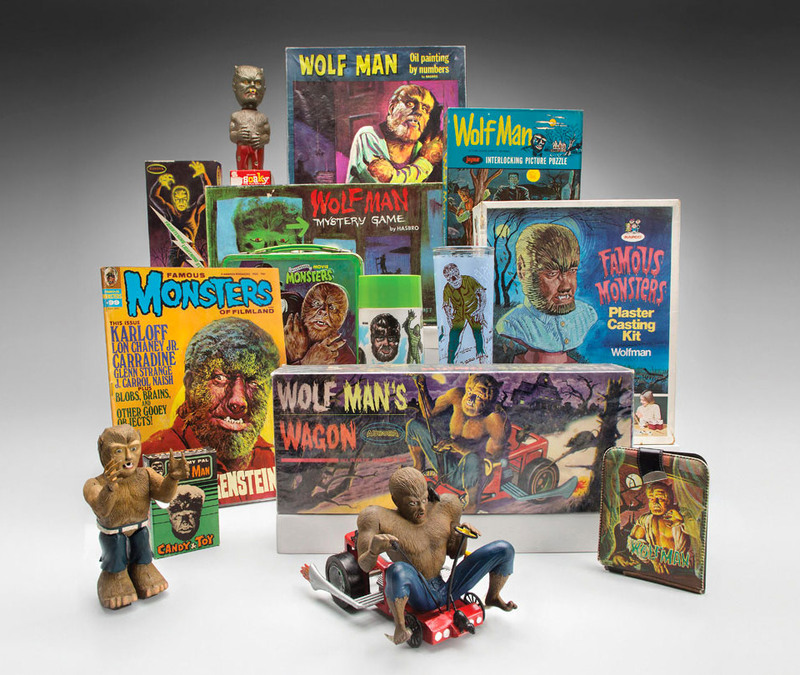 There also a bunch of pieces of movie memorabilia, including an awesome makeup test bust for the Wolf Man used in a 1948 Abbott and Costello comedy, a creepy Creature from the Black Lagoon prop head circa 1955 and a demented looking prop hand and head from the 1956 classic The Mole People. 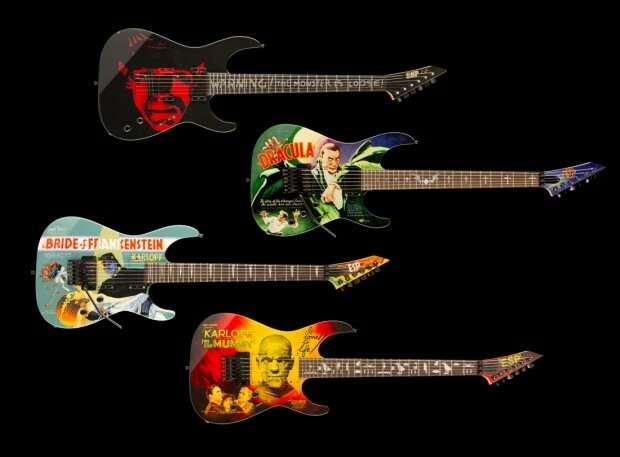 Music and Metallica fans, however, may be more jazzed about a series of custom-designed guitars emblazoned with classic monster themes that will be on display. The axes, designed by the ESP Custom Shop in Tokyo, feature homages to the Bride of Frankenstein, Boris Karloff as The Mummy and more. 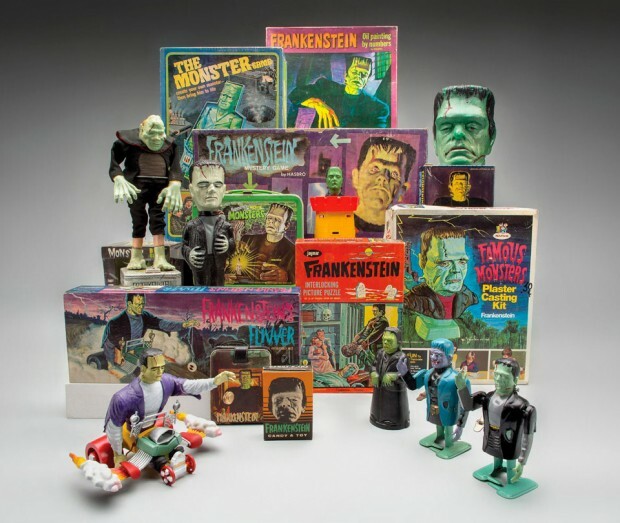 One assumes Hammett has used each one of them to kick out some seriously evil jams.